Over the past few years, we’ve been hearing a lot more about the links science is finding between gum disease and conditions such as heart disease, diabetes, stroke, Alzheimer’s and more. But this is hardly the only way in which your oral health and overall health are linked. In fact, most people still aren’t aware of the depth of the tooth-body connection. Everything from the materials used to restore teeth to the way the teeth come together, from local infections to hygiene habits, can have ripple effects throughout the body. Bringing these insights of biological dental medicine to a wider audience’s attention is just half the purpose of the new online talk show The Tooth/Body Connection. The other is to give you information you can use to improve your total health by addressing your current dental situation and creating a holistically healthy lifestyle that contributes to your total wellness. Hosted by Dr. Dawn Ewing – a naturopathic doctor, executive director of the International Academy of Biological Dentistry and Medicine, and author of Let the Tooth Be Known – the show will feature in-depth interviews with some of the leading practitioners and researchers in the field today. The series launches with a conversation about heavy metal toxicity with Dr. John Parks Trowbridge, anti-aging medicine expert and author of The Yeast Syndrome, Doctors Are More Harmful than Germs, Pain Pain Go Away and other titles. The next week, dentist Dr. Felix Liao – author of the forthcoming books Holistic Mouth For Total Health and Best Face Forward: Parents’ Guide To Children’s Optimal Dental-Facial Development: A Guide for Parents – will discuss how “The Holistic Mouth” supports good health through alignment, breathing, circulation, digestion and emotion. 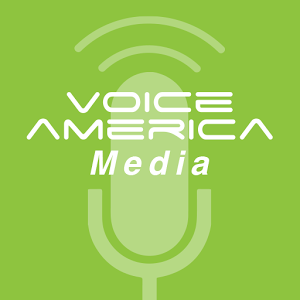 The Tooth/Body Connection airs on VoiceAmerica Fridays at 1pm CST starting July 17, 2015. This blog is intended as a resource for IABDM members, allied health professionals and others interested in our organization and/or biological dentistry and related fields. All comments are held and reviewed before posting. This is a moderated forum.